Ubuntu 11.10 has been released on October 2011; i installed it on my laptop and found some lack in the security because of guest user. As you know guest user can login without need of password; today i was thinking to increase the login security of my Ubuntu 11.10. I have decided to remove the Guest account login from the login screen of the Unity. I achieved the above task by editing the /etc/lightdm/lightdm.conf, follow the steps to disable guest account in Ubuntu 11.10. Step 3: Add the following line at the end of the file. Step 4: Reboot the machine. You will get the login screen without Guest Session. Update: As already you know, disabling of Guest login will improve the security. You can still improve more by hiding the User Names on login screen in Ubuntu 11.10. 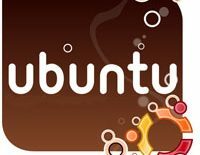 Ubuntu	Ubuntu Installation | How to install Ubuntu?